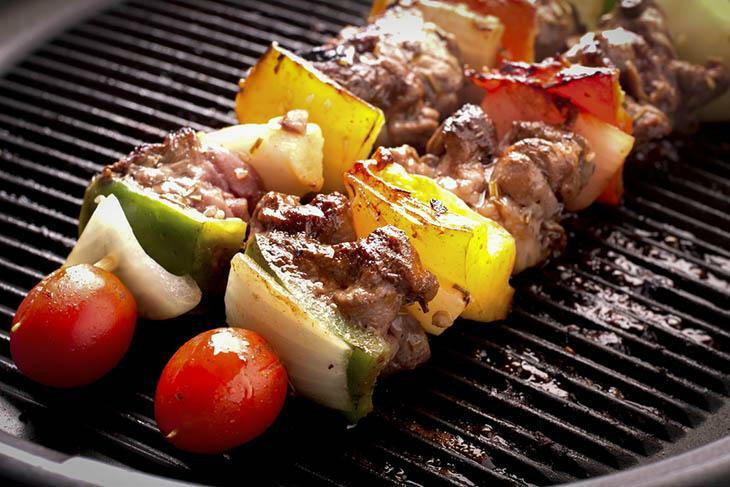 Are you planning to grill but do not know the best way to do it at your place? Do you hate the fact that you cannot grill outside every time you feel like it due to rain or some other reason? 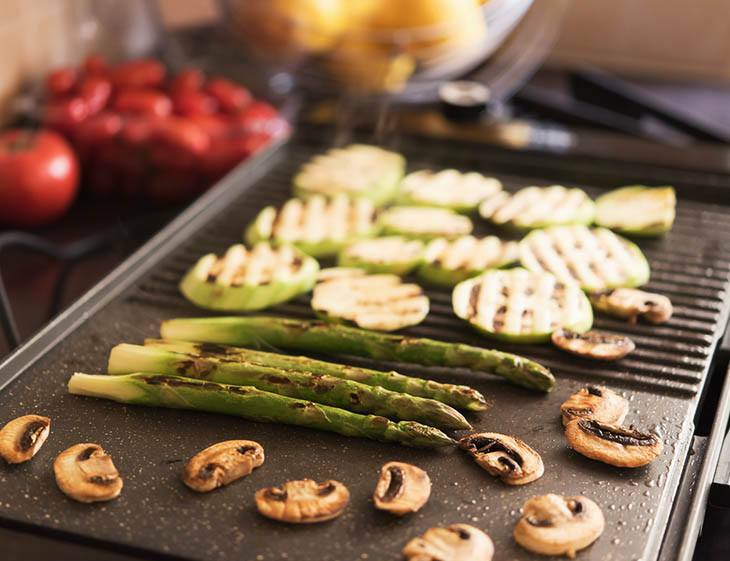 If your answer is yes, then you should consider buying an indoor grill as it is considered to be the best option for a successful in-home grilling. You just need to choose which one suits your needs the best. Shopping for an indoor grill might be a tricky thing. For this reason, you have to be well informed about things associated with indoor grills. You can read our reviews and find the right information about this topic; it will be a lot easier to choose the best indoor grill if you do. **Below, you'll find more detailed reviews, but you can also click the links above to see current prices or read customer reviews on Amazon. Buying Indoor Grill: What To Look For? If you want your indoor grill to have a great searing ability, this one is the right choice indeed. Hamilton Beach 25360 is well known for preserving flavor, and thus this searing grill is the best answer if you are too fed up with bland food. It is being advertised as a great indoor grill which will deliver results that you might not expect even from an outdoor grill. There are several features that will make this possible such as the high heat searing ability (up to 450 degrees F) and the adjustable temperature control. Besides that, the convenient indicator lights will let you know when the grill is on, but also when it reaches the optimal temperature. The unit also features a unique hooded design which helps preserve all the flavors. 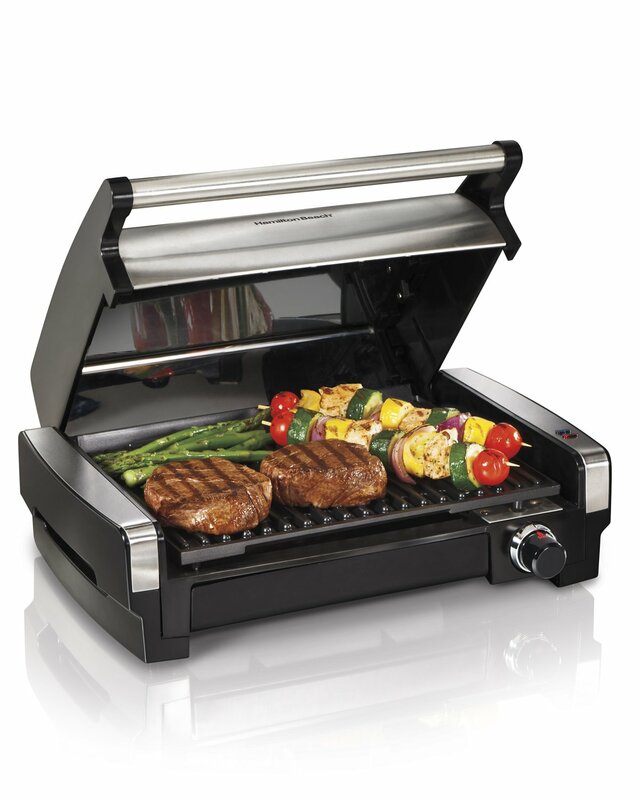 This indoor grill will demonstrate how moist and tender meat can be when it is grilled the right away. It will quickly reach the high temperatures that are ideal when it comes to searing and conserving the flavor and juices. After that, the grill will cool down to the optimal grilling temperature in order to finish cooking. We assure you that you will feel the tenderness in every bite you take. Looking for a multi-purpose indoor grill? If yes, the one from Cuisinart is definitely worth considering. 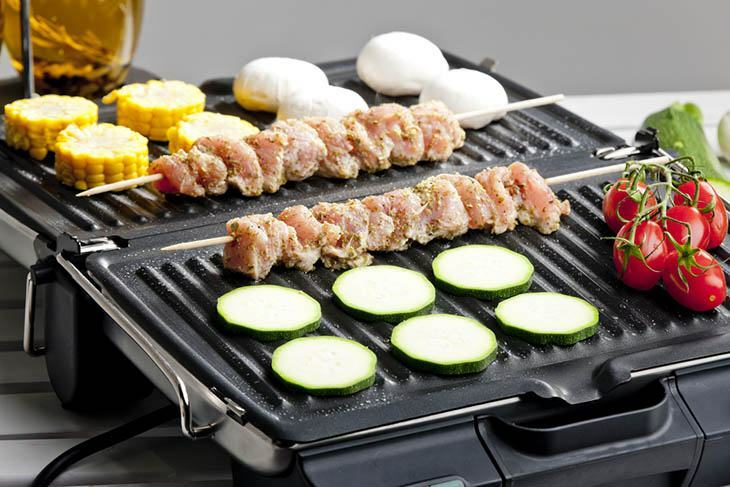 Cuisinart 5-in-1 doubles as a grill and a griddle. You will surely love it once you start serving the delicious waffles. But, it can do much more than that. 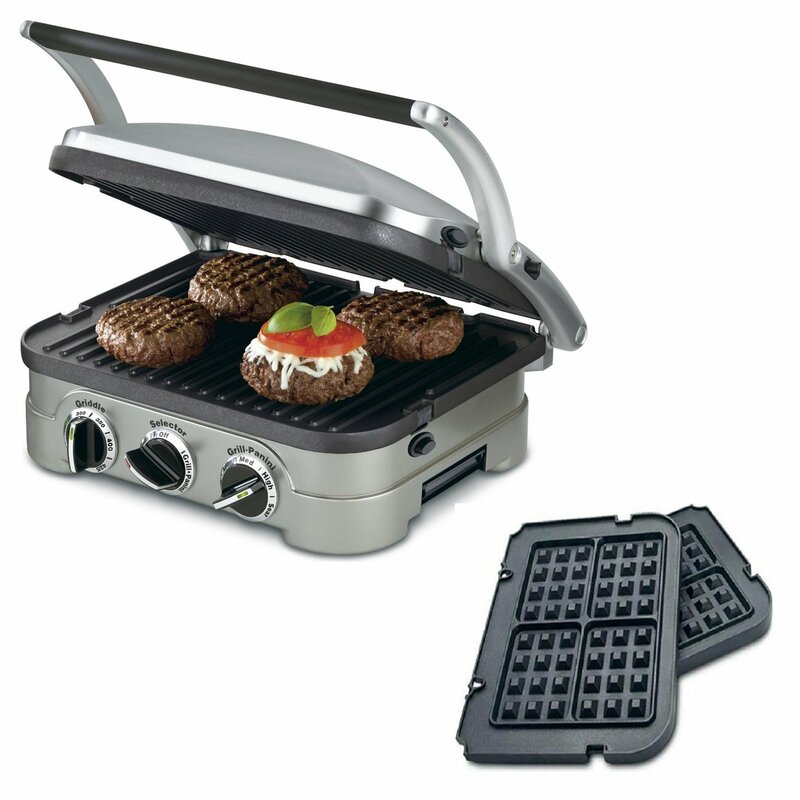 You can also use this unit as a contact grill, full grill, Panini press, full griddle, half griddle and half grill. 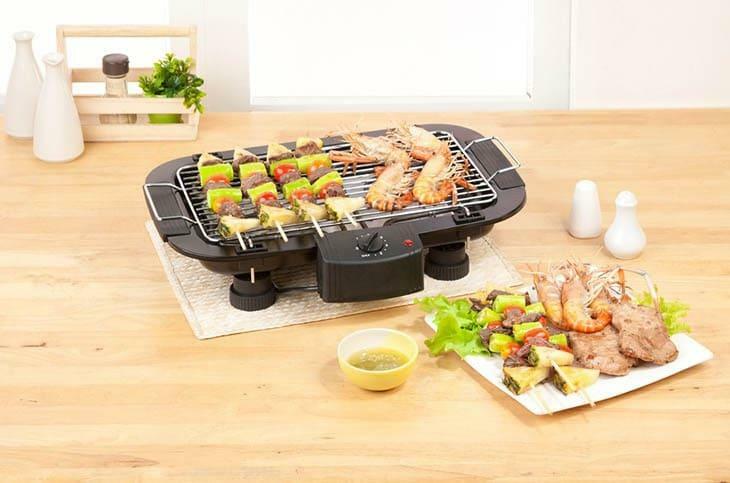 In addition, thanks to the floating cover this indoor grill can make your food be as thick as you like it. Moreover, the durable Panini-style handle will cater to all sandwich lovers as well. Wherever you put this grill, the brushed stainless steel housing will look quite upscale. 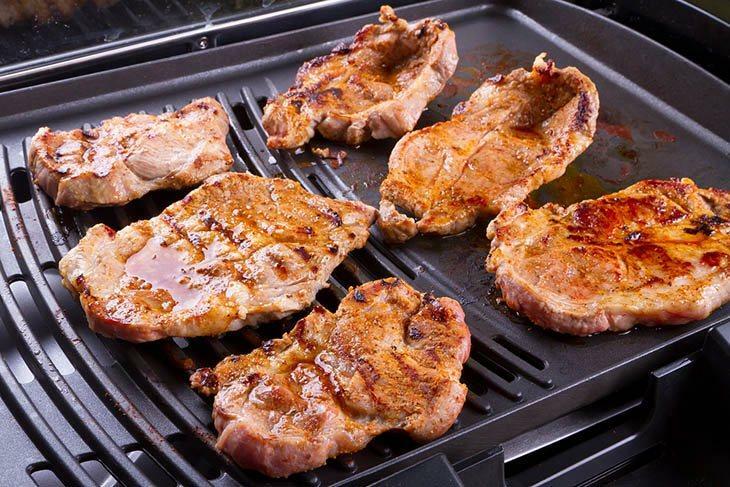 If you are looking for a grill that can s﻿﻿erv﻿﻿e great in both worlds, indoor and outdoor, the best option you can consider is the following one made by George Foreman. George Foreman is very popular in the grilling world. It has such a good reputation because of its solid performance and durability. This grill can be positioned either on its pedestal or directly on a tabletop; on its own, it stands about six inches tall. It also features 240-square inch cooking surface that can comfortably accommodate a range of food such as entire chickens. There is also a temperature control that offers a wide range of grilling temperatures to choose from. Furthermore, a sturdy double non-stick coating makes the process of cleaning a lot easier and eliminates the need for adding oil. You might want an indoor grill that can be cleaned easily if so the following one is the right choice for you. Some grills tend to produce inconsistent results but Delonghi BG24 Perfecto will definitely not. This grill is equipped with a fully embedded grill plate that will secure even heat distribution throughout the entire grilling process. The cleaning process is also effortless because of the non-stick grill plate as well as the drip tray. This grill is the right choice for all of you who are looking for an indoor grill that is very easy to use but offers good results as well. 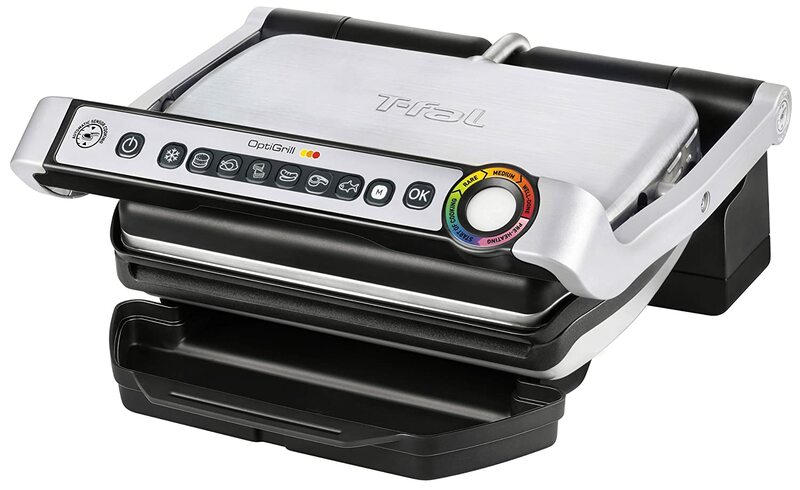 If you are looking for an indoor grill that can take the guesswork out of cooking, T-fal GC702 OptiGrill is the best choice you can possibly make. This grill is more than ready to handle almost any type of food as it is equipped with sensors which adapt the cooking time automatically based on what you are grilling. It also features 1800 watts of cooking power as well as six convenient cooking programs and can handle anything quite effortlessly. There is also an indicator light that will change its color from yellow to red letting you know when the food is ready. Along with the unit, you receive the instruction manual which will ensure that you get the best results you want using the available settings and programs. 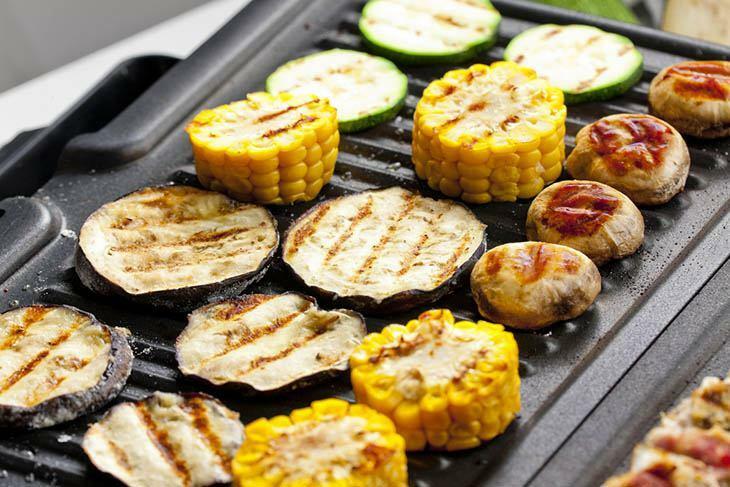 When you decide to buy an indoor grill, you should first try to find out all the things you should consider as to be able to find the best one. Indoor grills will allow you to bring all the fun of an outdoor barbecue inside your home. In fact, all of us definitely love the taste of a grilled food due to the charred and smoky quality which is so delicious. If you need the convenience that indoor grill can provide, then you should buy one among the top rated models on the market. However, there are numbers of things that should be considered if you want to get the one that totally meets all your standards. It is best to consider all the features of the indoor grills. Especially those features that make a certain grill stand out from the rest. But whatever grill you choose, you are going to see that having an indoor grill can provide you with a delicious meal everyone is sure to love. Some models that are built to quickly recover the heat they lose when you lift the lid. This is considered to be an important feature since a lot of heat escapes when you lift the lid of the covered grill to turn the meat or check whether it is ready prolonging the time of grilling. Once you have enough power in the grill to bring back the heat to its desired level quickly, you will experience faster cooking and more free time. If the indoor grill has a cover, it should also have a temperature gauge built into the lid that will tell you when it is ready to cook. If you have a contact-style grill, there should simply be a ready-to-start light that will indicate when the grill has reached the desired temperature. You should choose an indoor grill which can reach the temperature of 600° Fahrenheit. You could cook the meat safely at lower temperatures, as well, but this temperature presents the gold standard that will allow you to properly sear the steaks and other meat, as to achieve the best possible result. It is a lot easier to clean the grill with removable cooking grates and plates. In fact, it would be quite challenging to clean a big grill that has no removable plates. You can always clean the plates if you invest enough time and effort, but it is definitely easier to simply remove the plates and throw them in the dishwasher or just wash them by hand in the sink. This will make the process of cleaning much simpler and faster and save you a lot of precious time. Having an adjustable thermostat is important if you want to achieve consistent, accurate and even temperatures that will secure the best possible results. Furthermore, you will require different temperature settings when preparing a grilled sandwich as opposed to grilling a perfect steak properly. This means that an adjustable thermostat is an essential feature when you want to cook different kinds of dishes successfully. An electric grill is a great choice that allows for lower fuel costs and warms-up quite quickly in comparison with charcoal. However, the downside is that you have to plug it into the nearest electrical outlet which limits your movement. This is why you should make sure that the cord of the unit is long enough allowing you to work with ease and comfort. Floating hinge is considered for a great feature but might not always be necessary, especially when you have an indoor grill that is the same as a conventional grill. But, if you own a contact grill then a floating hinge can help in making sure you achieve best cooking results on both sides. This feature is especially important when it comes to using a sandwich grill since the lid will not always press evenly on the top layer of the bread; If you try to press it too hard you might force some of the melted filling out on the sides of the sandwich, or turn the whole thing into a flat pancake as well. These are the important features that must always be considered when shopping for an indoor grill. Price: When it comes to the price, the more you pay, the better the grill will be. If you want to use the indoor grill frequently and for a long time, then make sure that you buy an expensive one. Setup: ​If you are rather lazy, and do not want to spend a lot of time and effort on setting your indoor grill, then make sure that you check the amount of time needed to set up the grill you are about to buy. You have to read the instructions anyway to learn how to use an indoor grill. Smoke-free: Smoke-free indoor grills are the best choice for all those people who have problems with watery eyes, coughing or sneezing during grilling. Safety: Indoor grills are generally very safe. However, we recommend you to consider buying closed top grills as they are the safest option. 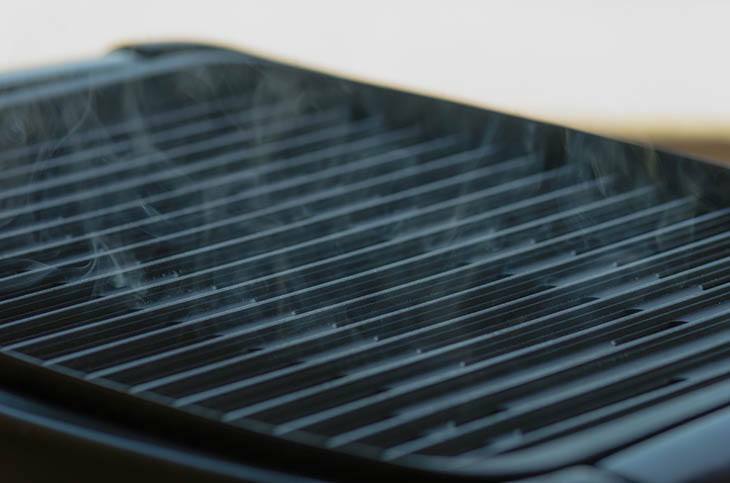 Easy to Clean: You definitely want to buy an indoor grill that is easy to clean. 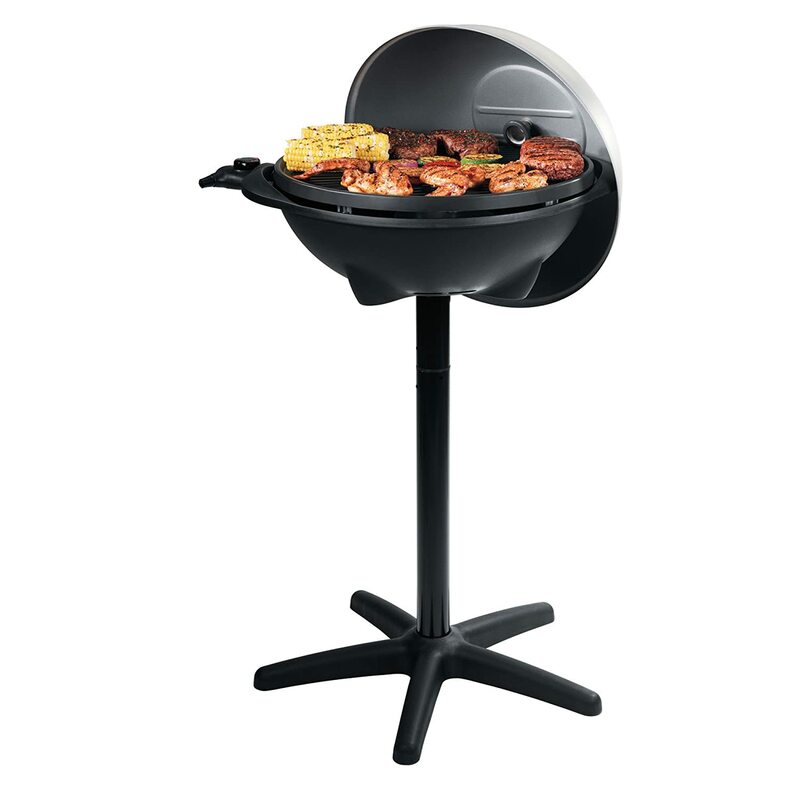 The best choice is an indoor grill that has removable plates which are dishwasher safe. 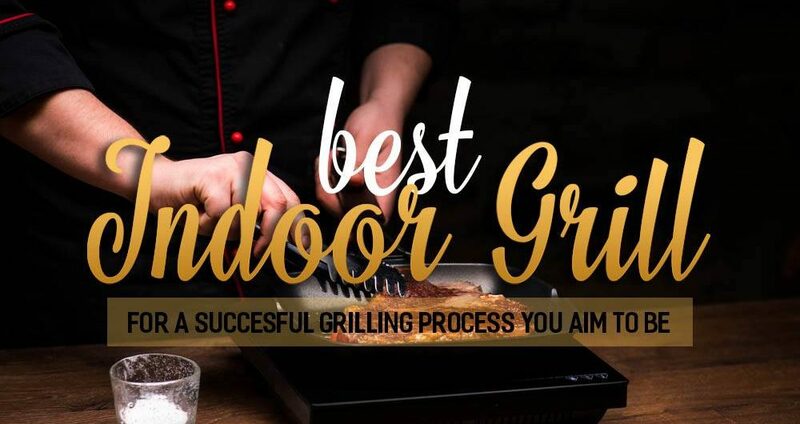 If you carefully read our guide and consider all of the above-mentioned factors you will be well informed and able to buy the best indoor grill on the market. Using an indoor grill is definitely a great option for many people. In fact, there are many advantages that using the indoor grill brings about. All the extra grease is allowed to drain off the grilling surface, and therefore you will have a healthier dish with less fat and fewer calories in comparison with the food that is prepared in a lot of oil. An indoor grill is also a great substitute for an outdoor one once the weather isn’t on your side. Setting it up is also quick and convenient. Finally, most indoor grill models will heat up rather quickly, which is particularly useful in emergency situations when you have to give up the outdoor grilling due to sudden weather changes. Besides being useful, indoor grills are packed with different safety features. It is very important that you are also aware of all the hot surfaces, but it is also crucial that you clear the entire surrounding area and remove all the items which can catch fire or melt. When choosing the electric countertop models, you should make sure that the cords meet safety standards as well. Choosing removable electrical cords will make cleaning and transport of the grill even safer as you will not have to drag them over the floor. There are some indoor grills that have handles, covers, and lids which are cool to touch thus preventing the people who are preparing food from getting burned. You should also allow all the grease and other hot liquids to cool down prior to moving or emptying the catch tray. How To Properly Clean The Indoor Grill? It is important that you remove grease and meat juices right after you take the food off the grill. This will guarantee that everything comes off easily. Grip the cleaning cloth with the tongs. It is best to use tongs and not hold the cloth in hand. Holding a wet cloth in a pair of tongs keeps you safe from getting burned. The tongs will also allow you to scrub the plates better. Next, use the tongs and the cloth to remove all the food remains and the grease. The cloth should be firmly gripped as to be able to scrub the plates of the grill thoroughly and remove the top layer of the grease as well as cooked meat juices. If you wipe the grill right after you finish preparing the food and not rush away to eat it, it will be much easier and require less effort to clean your indoor grill later on. And finally, allow the indoor grill to cool off. When you remove the biggest part of the mess immediately, you can enjoy the meal and allow the grill to cool off without worrying how to clean the scorched food and grease later on. Follow this steps when cleaning an indoor grill and you will save time and effort. Can I prepare frozen breaded fish fillets or fish sticks on the griddle? Of course yes. But as the griddler gets older, it will also lose the non-stick capacity, so it is advisable that you spray it with non-stick coating prior to cooking. Is my grill dishwasher safe? Yes, the drip tray and the plates are safe for dishwashers. How thick can chops or steaks that I grill be? It will adjust to any thickness. How many pancakes can I prepare at once? Eight pancakes or 4 on each side. This grill has an adjustable temperature control that is very helpful during the grilling process and other great features as well. The quality of making is rather high, the price is reasonable, and it has the highest rating among the customers or users who have already bought it and used it to prepare delicious food. Using an outdoor grill is surely a great way to make a delicious food right in your kitchen. You just have to choose the best indoor grill that will match your preferences and needs. 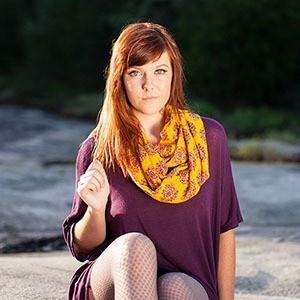 The information and reviews included in the article can help you make the right choice. For additional information about the indoor grill, you can watch this video. How’s the article? Did you find it helpful? If yes, hit like, share and post your comments below!